Celebrating Gin’s 40 years of free flight and 20 years since starting GIN GLIDERS. 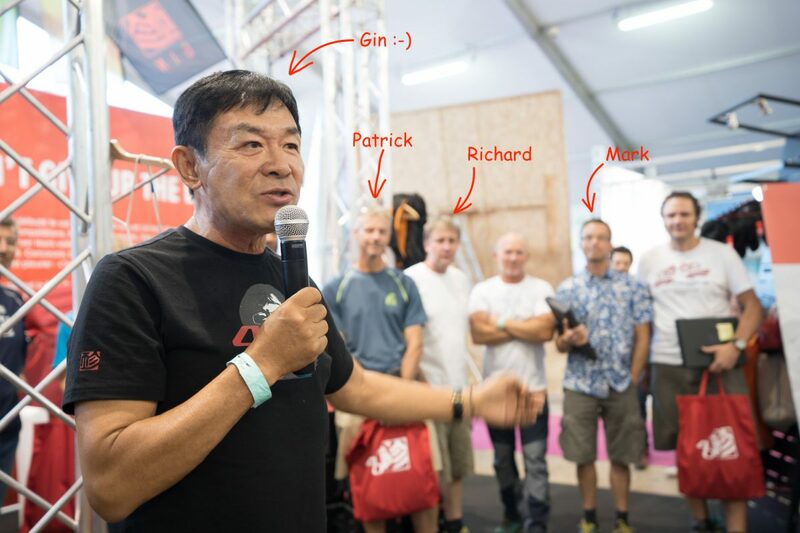 St Hilaire is well know for it’s parties and celebrations and this year was no exception with GIN GLIDERS inviting pilots to their stand to help Gin Seok Song celebrate 40 years of free flying (most of them as a designer) and the company GIN GLIDERS celebrate their 20th anniversary. It was in 1998, 20 years ago at St Hilaire that GIN GLIDERS first introduced the company and his first serial glider; the GIN Bonanza to the paragliding world. 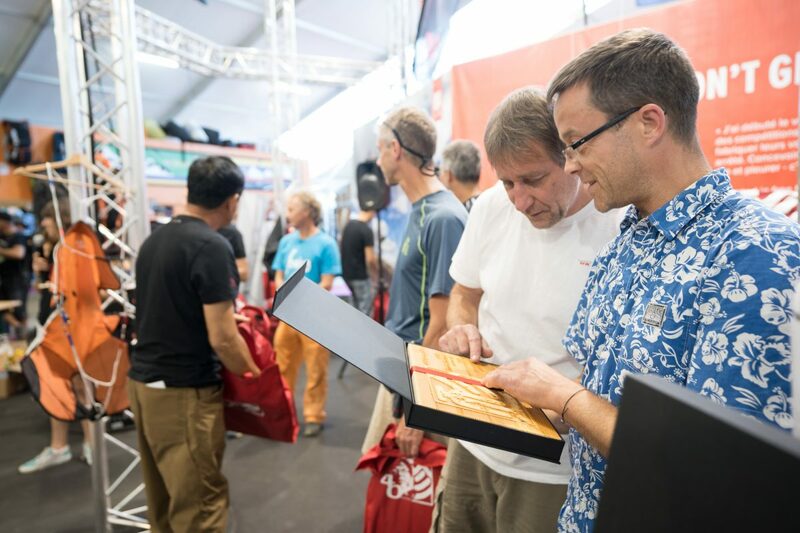 Gin presented commemorative carved wooden plaques to celebrate the milestone to many including Gin’s long term colleagues Jungmok and Shimgo, UK Airsports’ own Patrick, Mark and Richard as well as other distributor that have been with GIN since the start; Eric from GIN France, David from Kasana, Spain, Chris from Super Fly in the States. Photographer Jerome Maupoint, Andy Beevers from Gin marketing and many others. UK Airsports’ Mark and Richard checking out our commemorative plaque.